A beautiful landscape can transform an ordinary looking property into an extra ordinary one. Moreover, a beautifully crafted lawn can boost the attractiveness and hence the value of your home significantly. However, landscaping is a delicate prospect that requires technical expertise and experience to be delivered the right way. Done wrong and it can turn your property into a mess and a tasteless prospect. Since you will be investing so much on your lawn, you deserve the best. Here are 4 incredible tips that will guarantee the right landscapers in your Gold Coast area! Before picking the right landscape designing firm, it is important that you are fully aware of your needs and wants. Research and chalk out all the things that you want in your garden and the type of landscaping works that you are looking for. Once done, you can easily convey your vision to your landscaping service in Gold Coast and find out how they will react to your requirements. Put everything down on writing to give your contractor a thorough understanding of your designing needs. This will make it easier for you to compare the rates, level of expertise and confidence of the service to deliver the project on time and budget. The level of experience can be determined by looking at the years they have been active as a business. You can collect information about the areas they have been active and the number of properties that the company have covered over the years. Ask for referrals and portfolio of the previous projects that they have completed successfully. If you want an attractive yard, then the service provider needs to be highly experienced. Only then you can be assured of excellent results. 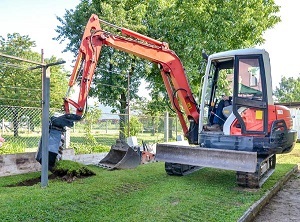 In Brisbane, although most of the work is done by the landscaping services, it is essential to hire someone who can incorporate your ideas into the landscaping process. This can only be possible if you hire a company that has exceptional communication skills. A good company will offer you great advices and will not forget to combine your ideas into the work and ask for recommendations when required. For a quick and efficient work, it is important to look for a local company. A company that is located near to your property will take lesser time to arrive onto your property. On the other hand, you will also be charged less as some of the firms charge more based on the location. With a local company, you will have plenty of referrals and will not face much problem checking the sites that they have previously worked on. Picking the right service will provide you with a group of experts who will deliver premium services with guaranteed results. So, before choosing your landscaping services in Brisbane, it is important to follow these tips and carry out as much research work as possible to meet your needs.